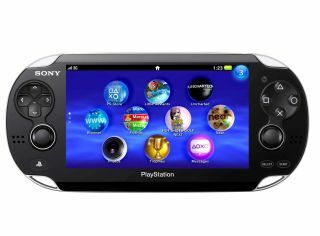 The PS Vita will get a firmware update on 8 February that adds maps and video recording. Though it's not out in the UK until 22 February, Japanese gamers already have Sony's handheld console firmly in their grasp. The firmware update will add a maps application that, judging by screen shots, uses Google Maps data to get users where they want to go. However, only the 3G version of the PlayStation Vita will have GPS hardware onboard – something for buyers to weigh up when deciding whether to go for the Wi-Fi-only or 3G variety. Video recording will be added to the Photos app – rectifying what was a glaring omission in the launch version of the console. Alongside the update, Sony will be releasing a Mac version of the Content Manager application which is needed to pump digital content to and from the Vita.